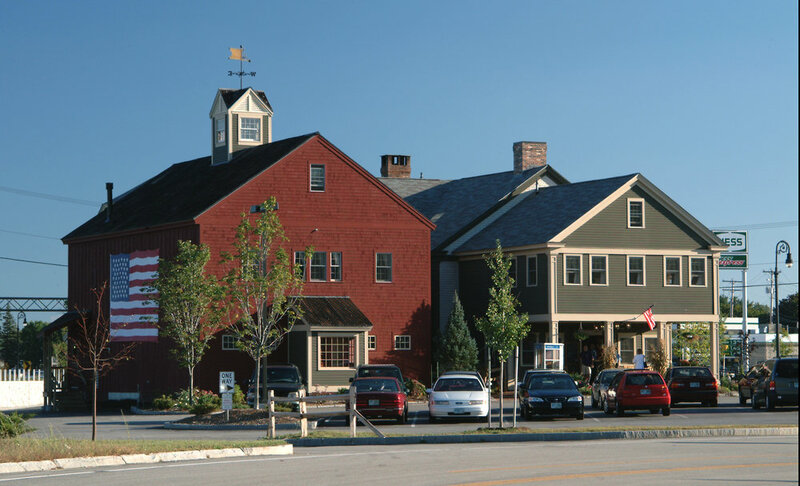 SDA’s commercial design work includes multiple projects at Bald Peak Colony Club in Moultonborough, NH; Schilling Beer Company brewery in Littleton, NH; renovations and additions at New Hampshire Motor Speedway in Loudon, NH; The New Woodshed restaurant in Moultonborough, NH; spas at The Balsams Resort in Colebrook, NH, Mill Falls at the Lake in Meredith, NH, and Riverwalk Hotel in Lincoln, NH; renovations and additions to the base lodge and family center at Bretton Woods Resort in Bretton Woods, NH; five branch facilities for Meredith Village Savings Bank; shopping complexes in Lincoln and Meredith; multiple condominium projects in Waterville Valley, Thornton, and Lincoln, NH; Great Glen Trails and Outdoor Center in Pinkham Notch, NH; The Lodges and conference center at Mill Falls at the Lake in Meredith, NH; Lovering Volvo showroom in Meredith, NH; Mount Washington Golf and Nordic Ski Center in Bretton Woods, NH; renovations to Mountain View Grand Resort & Spa in Whitefield, NH; and multiple projects for The Common Man family of restaurants, including seven restaurants and The Flying Monkey Movie House & Performance Center in Plymouth, NH. Click on the image above to see a slideshow gallery. The Energy Star compliant lodges and conference center at Mill Falls are in the Adirondack style with a staggered siting and a curved building footprint that allows for stunning lake views from each guestroom. Public spaces include a living room lounge overlooking the lake and a fireplace-warmed rooftop bar. The indoor/outdoor pool resembles a traditional boathouse with multi-paned arched doors and painted wood decking. 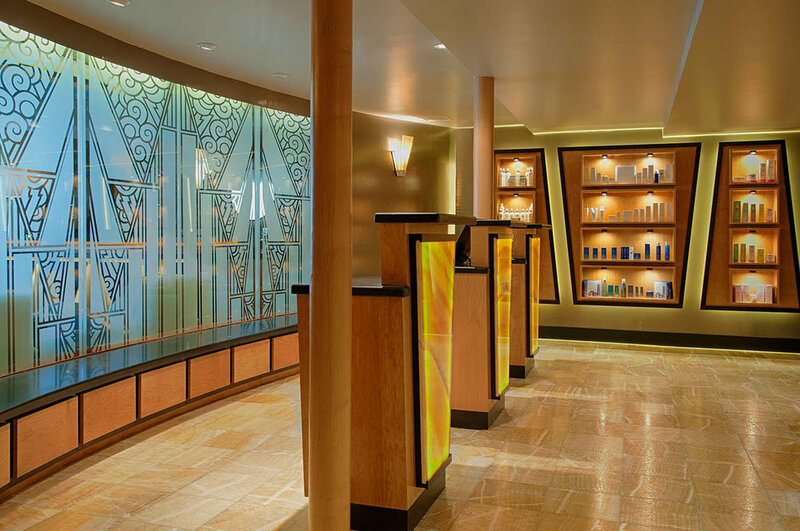 The facility includes the Art Deco Cascade Spa. "...their [SDA's] outstanding communication and listening skills have made a positive impact on the entire team. Most importantly, their consistent effort to keep everyone up to speed and involved in the process has made them stand out more than any other architecture firm I have worked with." Click on image above to see a slideshow gallery. 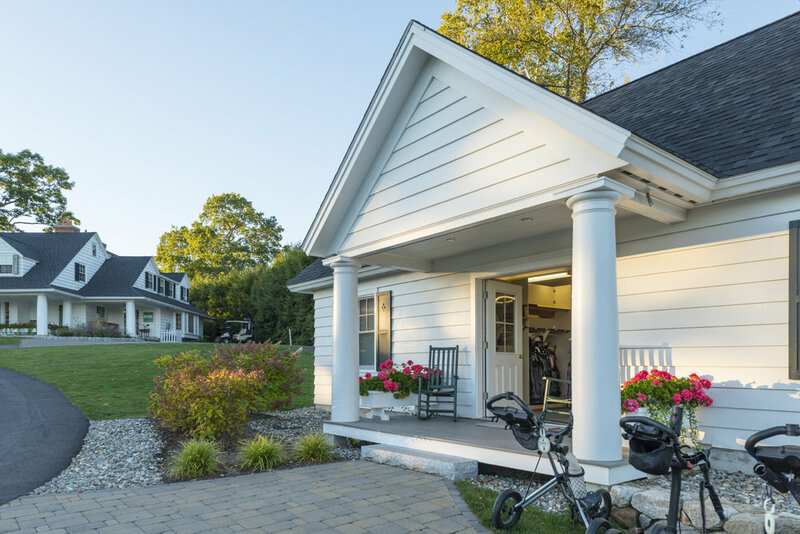 SDA's projects at Bald Peak Colony Club include the renovation of a home on the property into a new pro shop, the design of a golf bag building, new men's and women's locker rooms, and the renovation of the Club's grill room, restaurant, and bar. SDA proposed that the design for this addition to the Mount Washington property be of a similar period as the historic hotel, but not of the same stucco Romanesque style. This design scheme provided an architecturally satisfying way for the new building to relate to the original structure. The resulting 9,000 SF, crisp, Shingle Style facility complements the hotel nicely with a large cupola echoing the hotel's mighty towers. The elegance of the Mount Washington in the near distance is reflected in the large porte cochere and formal entry. 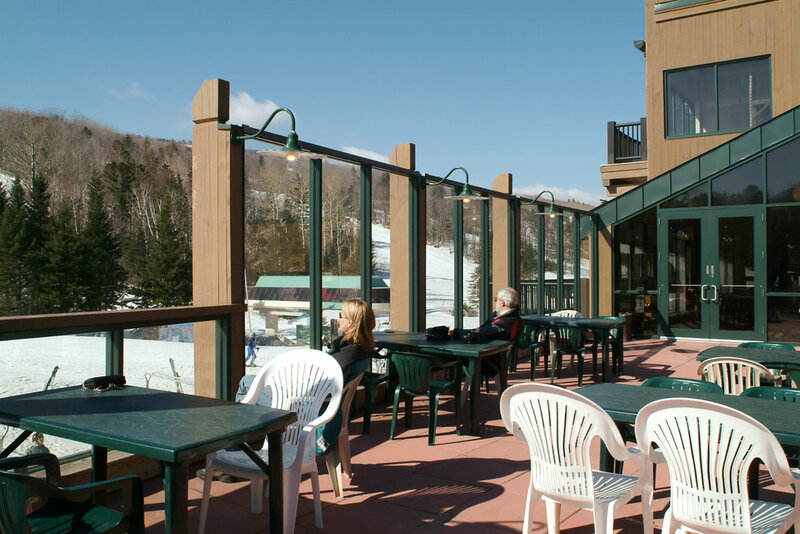 The center converts seasonally to accommodate golfers and Nordic skiers. 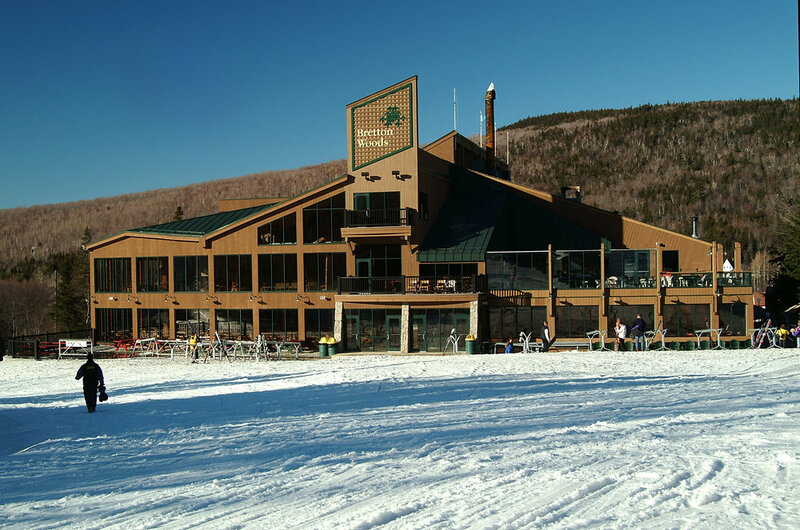 This project included 15,600 SF of new construction and 40,656 SF of renovations for the base lodge. 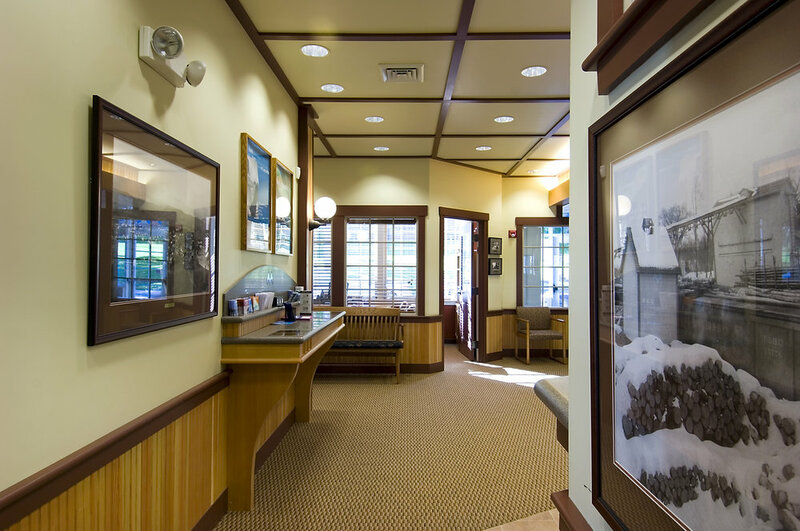 The renovated facility features a new entry providing convenient access to a larger area for ski rental, a new ski school and guest services area, lockers, retail shop, food court, and additional guest seating. 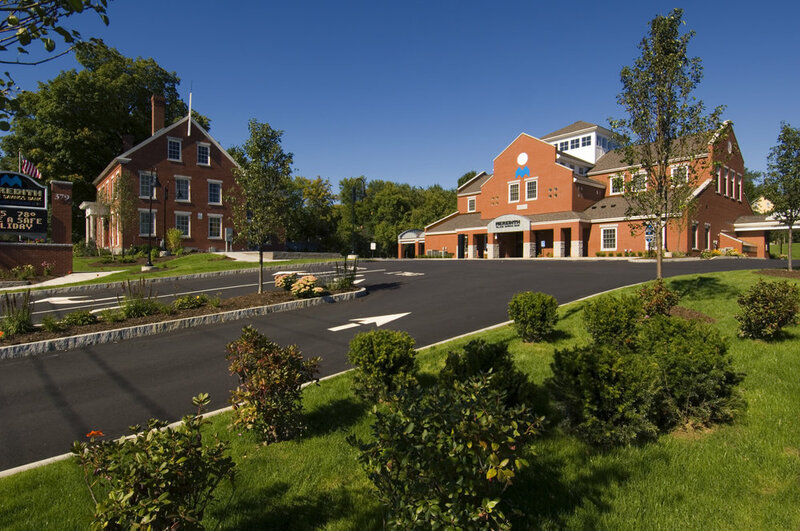 The project also included an expansion of the lodge’s kitchen facilities, a larger receiving area, new elevator, and complete upgrade of all utilities, mechanical, and electrical systems. 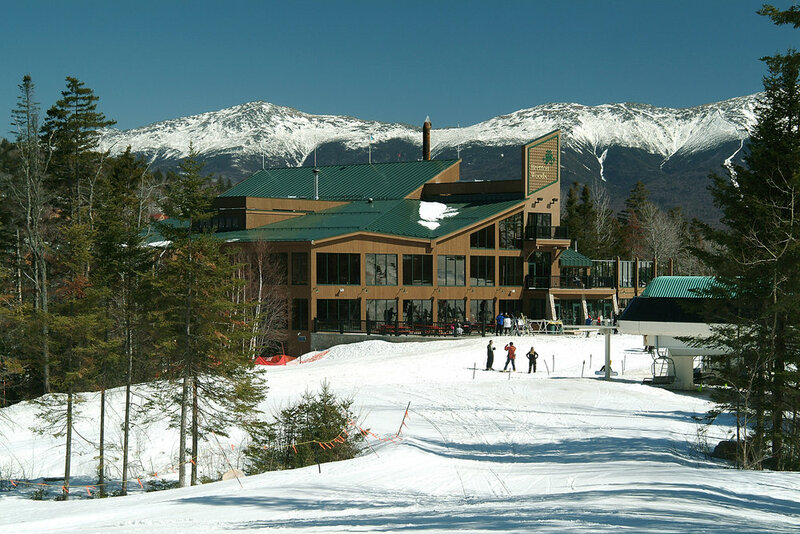 "You [SDA] have been a major contributor to the growth of the Mount Washington Resort... you hit every timeline and kept the project on budget... we look forward to working with you in the future." SDA teamed with the owners of Schilling Beer Company to design an expanded brewing, retail, and packaging facility located along the Ammonoosuc River in Litteton, NH. The building design is inspired by Scandinavian farmhouses and houses a custom-made 20-barrel brewhouse, stainless and oak cellaring areas, a quality assurance and quality control lab, a tasting room, and a retail shop stocked with Schilling and Resilience beers in cans and 750ml bottles. Over the past 35 years, SDA has worked with the Common Man Family on projects including: Diners in Concord, Tilton, and Manchester, NH; Common Man restaurants in Lincoln, Concord, Windham, and Merrimack, NH; The Common Man Inn in Claremont, NH; The Flying Monkey Movie House & Performance Center in Plymouth, NH; and Common Man Roadside at The NH State Welcome Centers in Hooksett, NH. 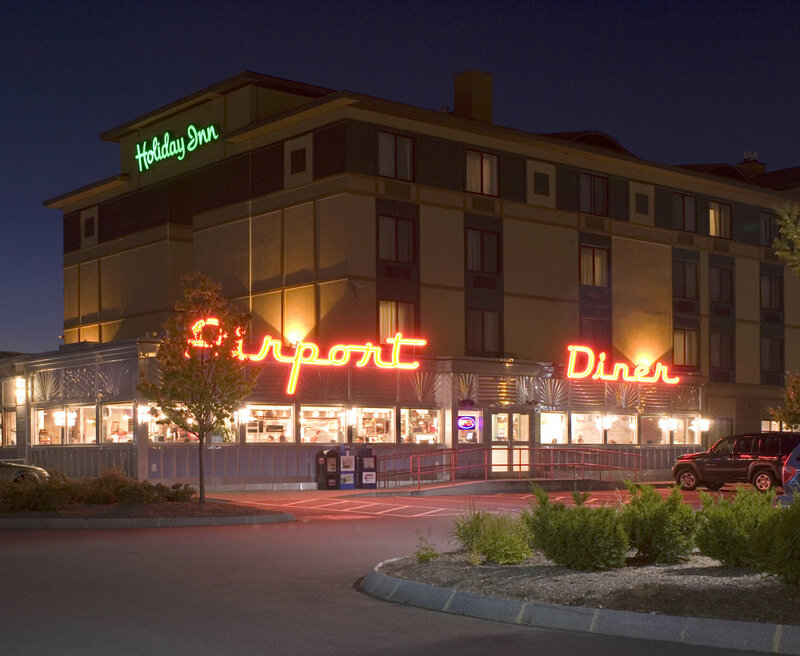 Projects depicted: Airport Diner in Manchester, NH and The Common Man in Concord, NH. This former vaudeville theater was abandoned and derelict when it was purchased by The Common Man family. SDA designed a renovation to convert the split main level theater into one performance hall with dinner seating for 100 guests, re-configure and enlarge the entrance and lobby, and design a grand stairway leading to an enhanced mezzanine. 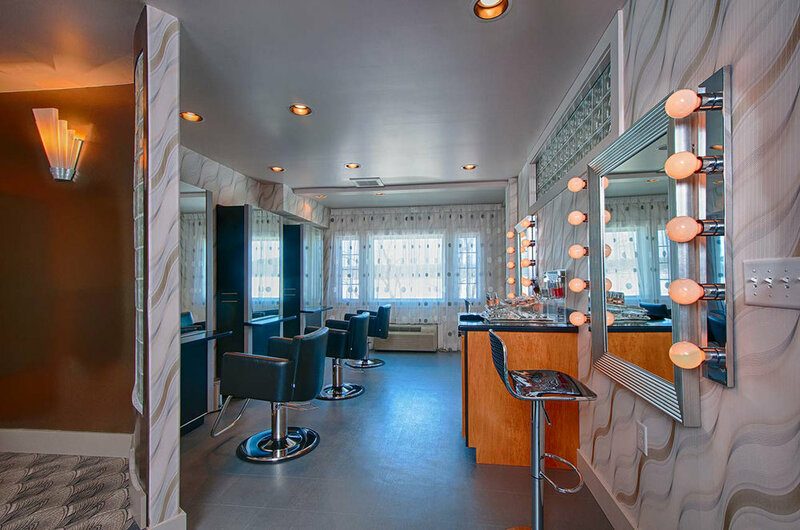 The project also included building out a new lower level with restrooms, meeting room, service kitchen, and green room for performers. The theater is fully ADA compliant with a new elevator. A tightened building envelope and additional insulation allow for increased energy efficiency. 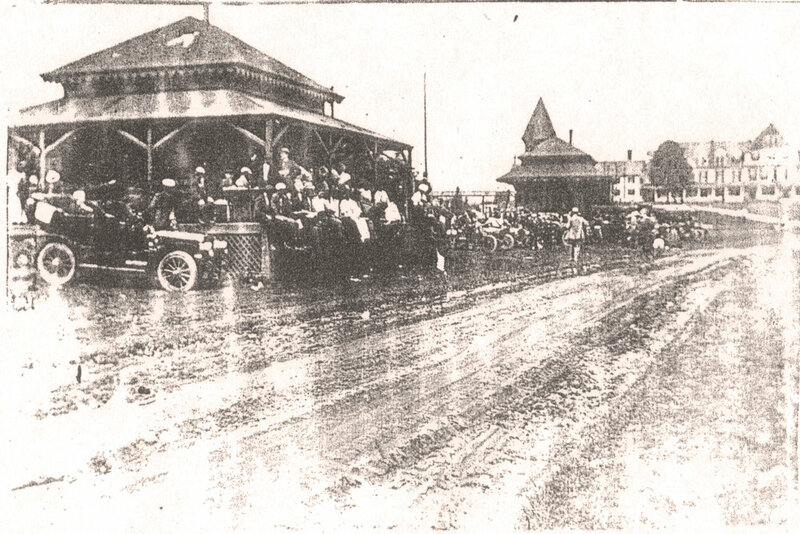 MVSB Laconia: When MVSB purchased the site for this branch bank, the property included the historic Gooden House. Working with an architectural historian and the NH Department of Resources and Economic Development, SDA devised a restoration plan that kept the Gooden House eligible for future recognition on the roster of NH Register of Historic Places. The new bank's brick construction, clerestory windows, cupola, heavy timber interior details, and accent wooden ceilings work to make the building seem more of a mill converted into a bank, than a new branch bank. 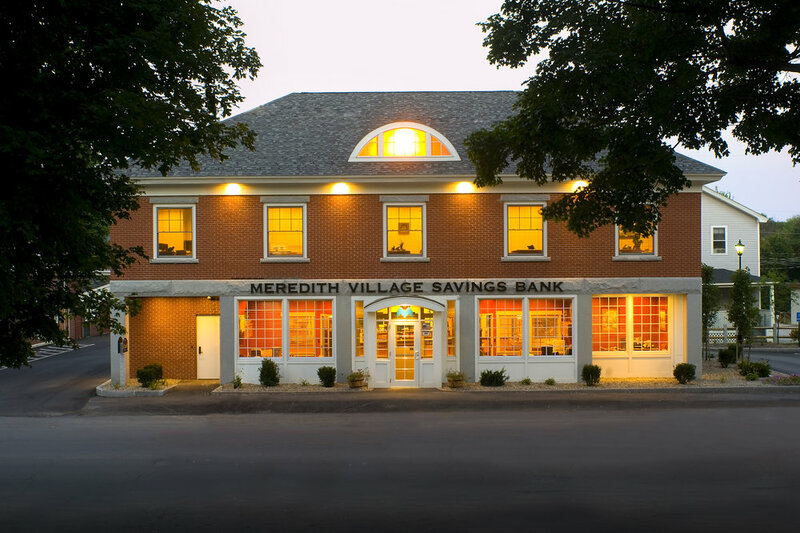 These banks are two of five branch facilities SDA has designed for Meredith Village Savings Bank. 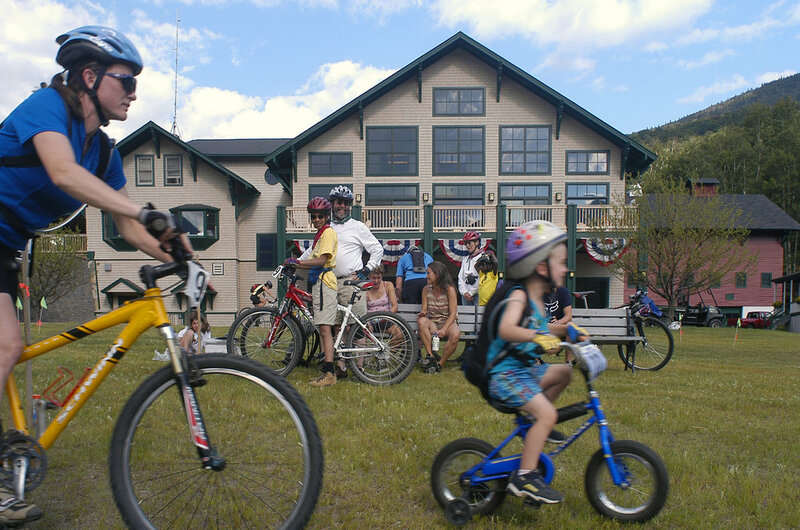 SDA designed renovations and an expansion to the historic Glen House to create new headquarters for the Great Glen Trails and Outdoor Center and administrative offices for the Mount Washington Auto Road. The three-story, 16,000 SF facility features a large open deck, food court, dining area, indoor climbing wall, large fieldstone fireplace, retail space, and function rooms. 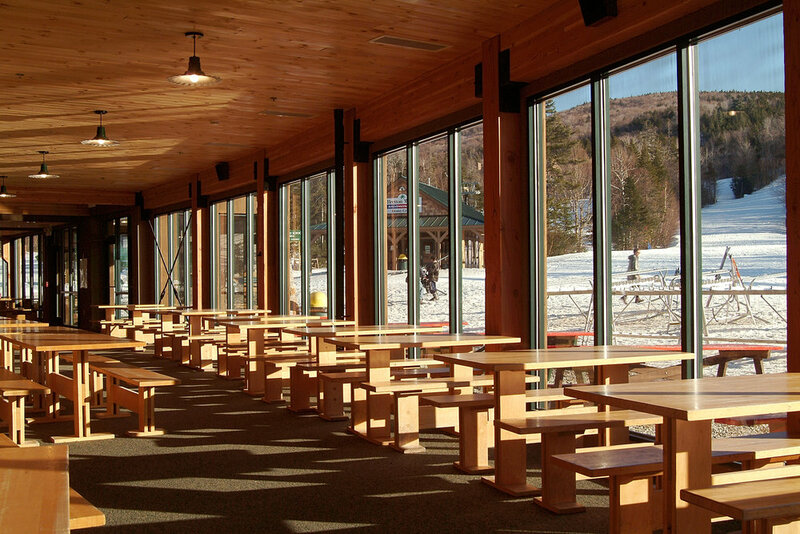 The open interior allows diners views of the climbing wall within and Mount Washington through the wall of windows that comprises the buildings west elevation. 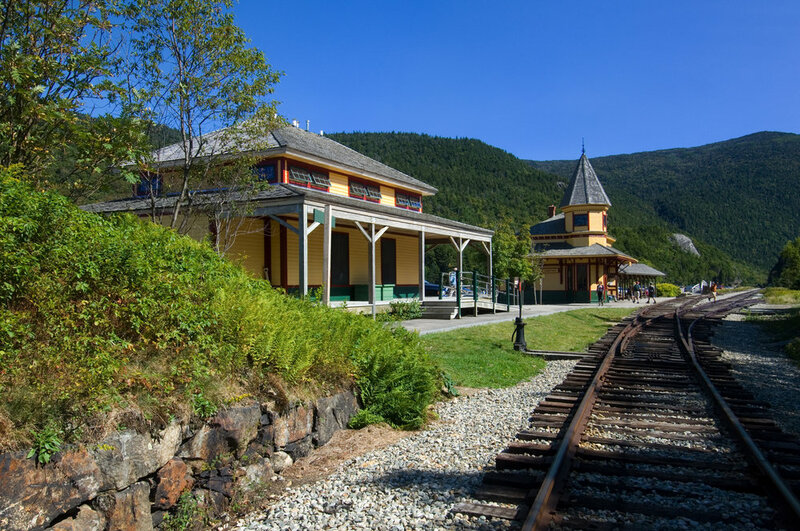 SDA worked with representatives from the AMC, The Conway Scenic Railroad, and the office of New Hampshire Historic Preservation to design this 1,000 SF restroom facility for the Crawford Notch Interpretive Center. 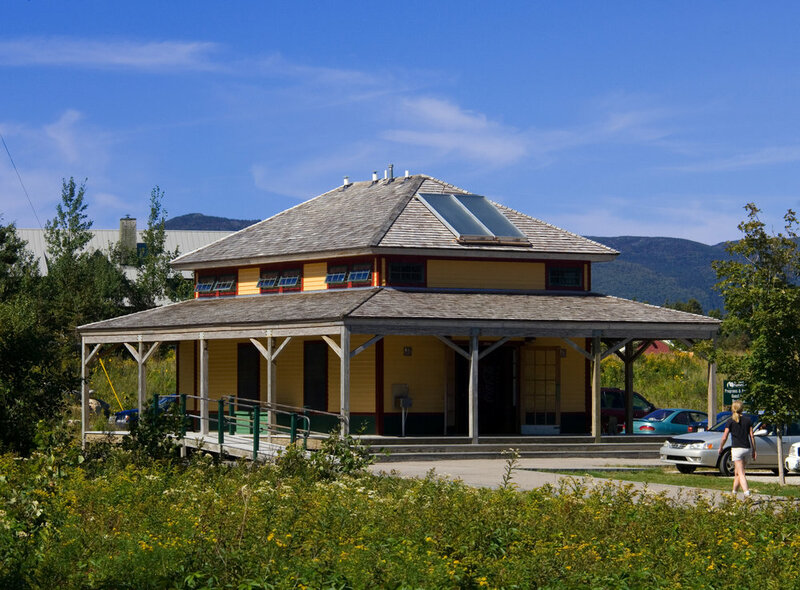 The building is a replica of the original baggage storage building and features public restrooms with composting toilets. The facility is fully handicapped accessible.